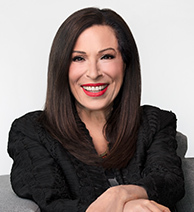 Paula Begoun is the best-selling author of 20 books about skincare and makeup. 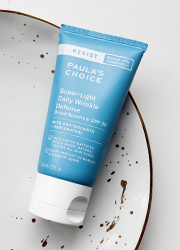 She is known worldwide as The Cosmetics Cop and creator of Paula’s Choice Skincare. Understanding the real color of your skin is primarily about discovering your skin’s undertone, which is the key to buying the right foundation shade and creating a flawless makeup look. It’s something top makeup artists can do in their sleep, but we can’t all have a glam squad standing by our side (Wouldn’t that be nice?). But, figuring it out on your own can be easier than you think. This mineral-based SPF 30 has a mattifying tint that gives skin a more even-looking tone. 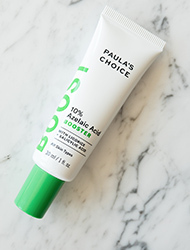 This Azelaic acid booster fades and clarifies to reveal your natural tone. Do your veins appear bluish or more deep purple? If the answer is yes, you’re likely in the cool-toned spectrum. If your veins appear greenish, you most likely skew toward the warm-toned. Those with neutral undertones will have difficulty discerning either color—it will just all look neutral. Do you look better in silver or gold? Personal preferences aside, cool undertones tend to be flattered by silver/platinum; those with warm undertones look better in gold-toned jewelry. Neutral skin tones look equally great in both (lucky you!). Does your skin look somewhat ashen or gray? You might have the wild card of the bunch—olive skin—which is a combination of the natural neutral, slightly yellow undertone everyone has plus the greenish ashen hue that’s unique to olive skin. Olive skin tone is very specific, but is not neutral, as some tend to call it. What if you have an uneven skin tone, meaning it’s more than one color? Although a great foundation helps neutralize this, the secret sauce is routine use of a skin care product that contains ingredients shown to make all skin tones look more even (and smooths skin texture, too). Now that you’ve determined your skin’s undertone, we must caution you: Using a foundation categorized as your respective "cool" or "warm" skin tone may not always be the most flattering choice. For instance, some foundations labeled cool-toned can end up making skin look overly pink, and those labeled warm can skew toward overly yellow. The goal is to select neutral foundation shades that have only the slightest hint of your skin’s undertone. You never want your foundation to be too pink or too yellow or too ashen. If you have cool undertones, the foundation should look slightly, and we mean slightly, pinkish in the bottle. If your undertone is warm, then the foundation shade should have a subtle yellow or golden tone, and we mean very, very subtle. Of course, there are always exceptions. If you have medium to deep skin color with a reddish undertone, there is a likelihood that you will look better with a foundation that has a hint of brownish red (but not copper, orange, or peach). Purely neutral-toned foundations may seem like a slam-dunk for olive skin, but it’s best to experiment with foundations that have a slightly gold tone to warm up the "green" undertone in your skin. In the long run, don’t worry too much about it—the final deciding factor is to try the foundation in daylight to see how it looks. It is especially important to look at your jawline after applying—if you see a noticeable line of demarcation between your neck and your face, then the foundation is the wrong color! This might sound like a lot of work, but it will be worth it, because once you find the right foundation, everything else becomes far easier! You’ll be amazed by how natural-looking the results can be!